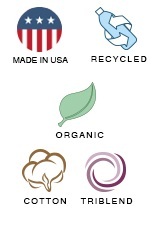 Sustainable materials use in manufacturing, comfortable, & fun. 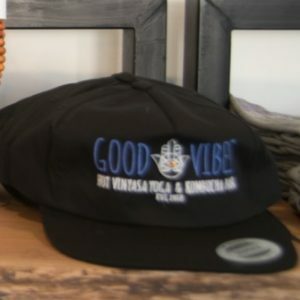 The Good Vibes Organic Unisex eco Triblend Fleece Pullover Hoody is made in the USA from RPET polyester (50%) which is made from recycled materials including post consumer waist, Organic cotton (37%), & rayon (13%). Kangaroo pocket in front and really comfortable warming material. Use it on a brisk day or to build heat in a non heated physical exercise, like non hot yoga. 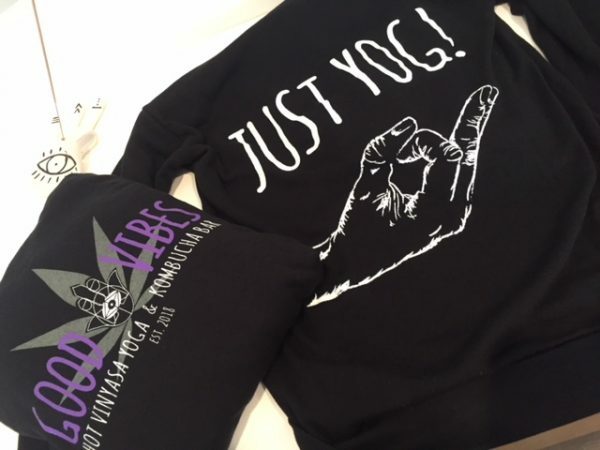 This shirt also depicts an illustration of the “guyan” mudra, a specific hand positioning used in yoga and meditation practices used to work on openness and receiving. 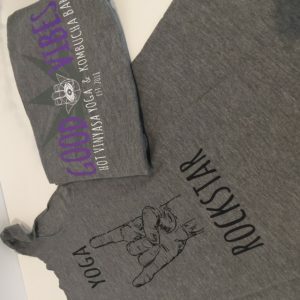 Available in small, medium, large, and 2XL.